A Modern Mexican restaurant and bar located in the West Loop, serving brunch, lunch and dinner. At más, they watch two-time Michelin Chef Yanitzin Sanchez and her team eradicate preconceived notions about Latin culinary tradition. The menu of tacos, crudos (Spanish for “raw”) and shareable plates is rich in both artistry and global flavor. Bar Toma is a regional Italian restaurant from Chef Tony Mantuano. The warm, welcoming restaurant features housemade pastas, sharable antipasti, entrees and pizzas from an imported Italian wood-burning oven. Approachable and accessible, Bar Toma offers traditional Italian recipes created in a contemporary fashion by Executive Chef Erik Freeberg, paired with Italian wines, cocktails and beers. City Winery strives to deliver the highest-end combined culinary and cultural experience to our customers who are passionate in sharing wine, music, and culinary arts. We are a unique facility, combining a fully functioning winery with intimate concerts, food & wine classes, private events in a variety of configurations, and fine dining. We have created a compelling mix for our sophisticated clientele of foodies, and active cultural patrons—bringing the wine country experience to the middle of a large city. The Cooper’s Hawk concept includes four distinct components: an upscale casual dining restaurant, full-service bar, private barrel-aging room, and Napa-style tasting room and retail gift store…all under one roof. Each Cooper’s Hawk location is distinctive in layout and décor, but carries the same warmth and elegance that guests have come to expect. 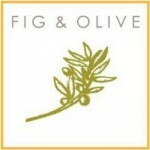 FIG & OLIVE is about passion for the best olive oils, flavors and cuisine from the Riviera & Coastal regions of the South of France, Italy and Spain. Their large variety of extra virgin olive oils was selected to be paired with each dish and to be offered for tasting at the beginning of each meal. Enjoy Francesca’s where their philosophy is of good, simple, rustic cooking, served in a casually sophisticated dining atmosphere. Named “Best Steakhouse in Chicago” by the Chicago Tribune Dining Poll, Harry Caray’s serves the finest prime, aged steaks, chops and Italian favorites. The sophisticated, high energy restaurant pays tribute to the beloved Chicago Cubs sportscaster for whom the restaurant is named. HUB 51 is the new River North creation from R.J. and Jerrod Melman, the younger generation of the Lettuce Entertain You organization. HUB 51 is a convergence of entertainment, nightlife, dining and social activity-much like the offbeat creations of LEYE were years ago. 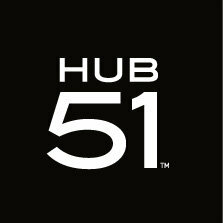 Striving to be at the heart of Chicago’s social and dining scene, the attitude at HUB 51 is to expect the unexpected, a place offering unconventional perks, and outstanding food, drink and service in a spacious urban setting. 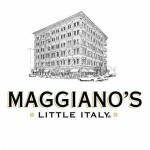 At Maggiano’s the portions of Italian–American cuisine are large, reminiscent of a Sunday night visit to your grandmother’s house, or as they say in Italy, nonna’s casa! The recipes are simple, authentic classics, many of them coaxed out of Italian grandmothers, mothers, and aunts whose ideas of a recipe were a pinch of this and a sprinkle of that. With some trial and error, the chefs celebrated the birth of many of Maggiano’s signature dishes. The Gage invites you to savor their delicious, upscale comfort food, fine wines, boutique beers and whiskeys while enjoying the relaxing ambience of their vintage decor. The Millennium Park dining experience. Rated A Top 10 Restaurant by critics’ and readers’ of Crain’s Chicago Business for two years running. 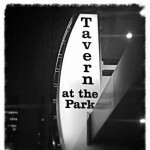 Classic American Menu with Contemporary Twists all in the setting of Chicago’s Beautiful Millennium Park!